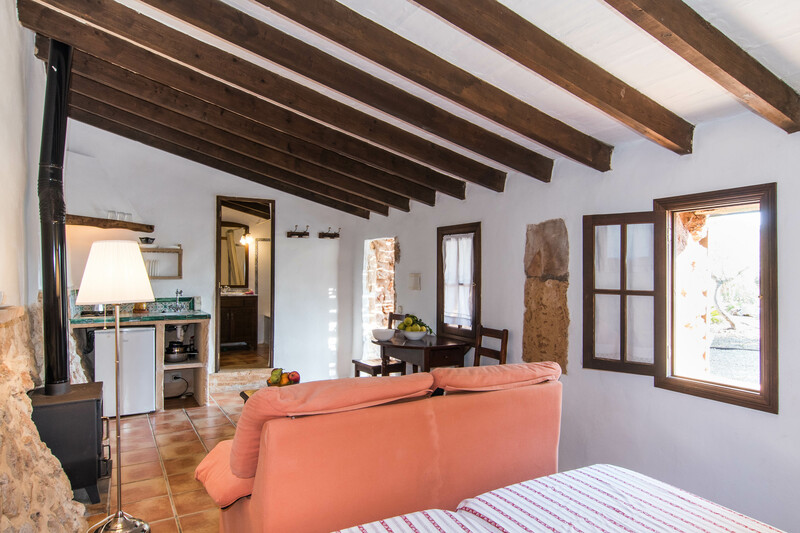 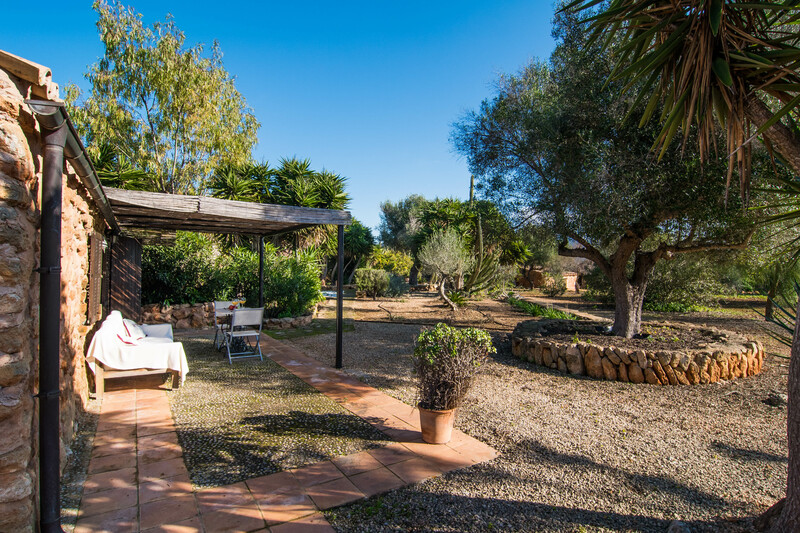 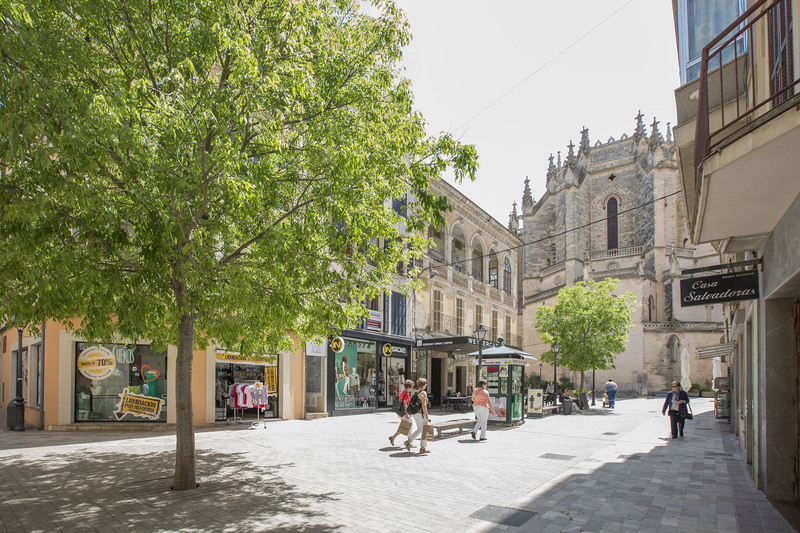 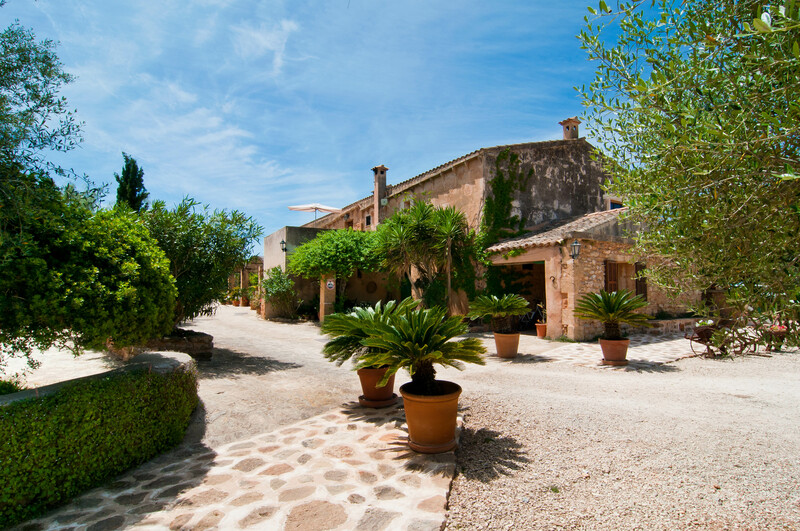 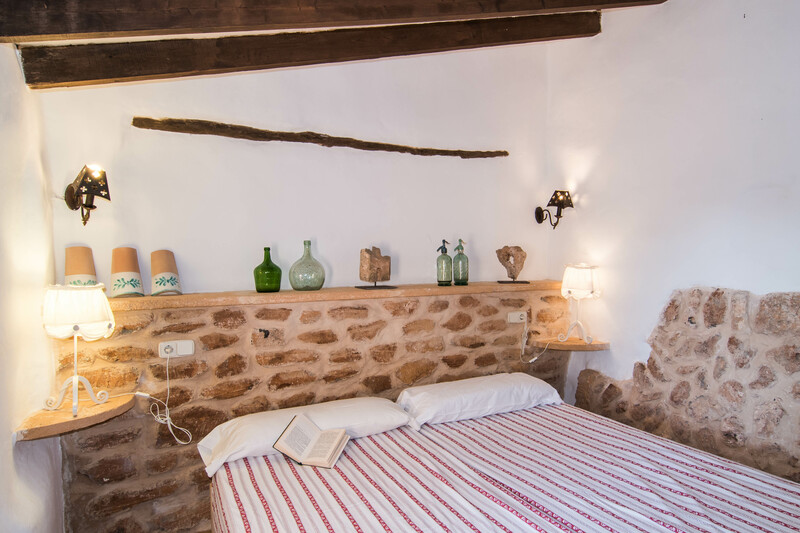 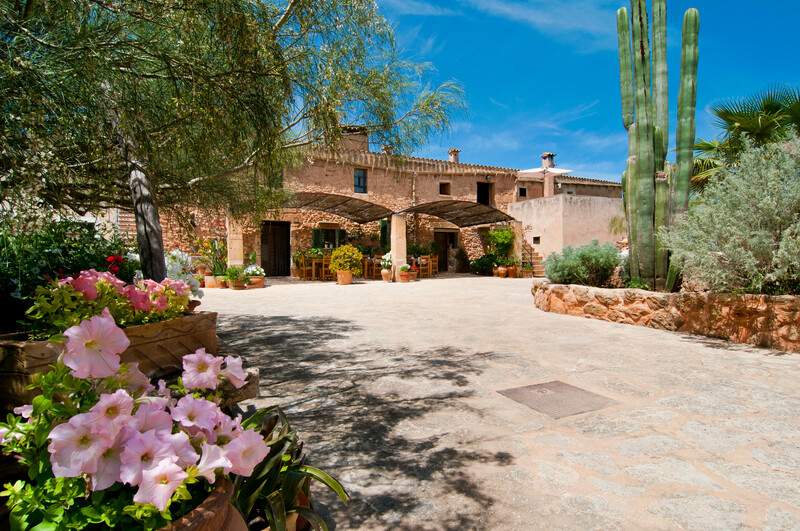 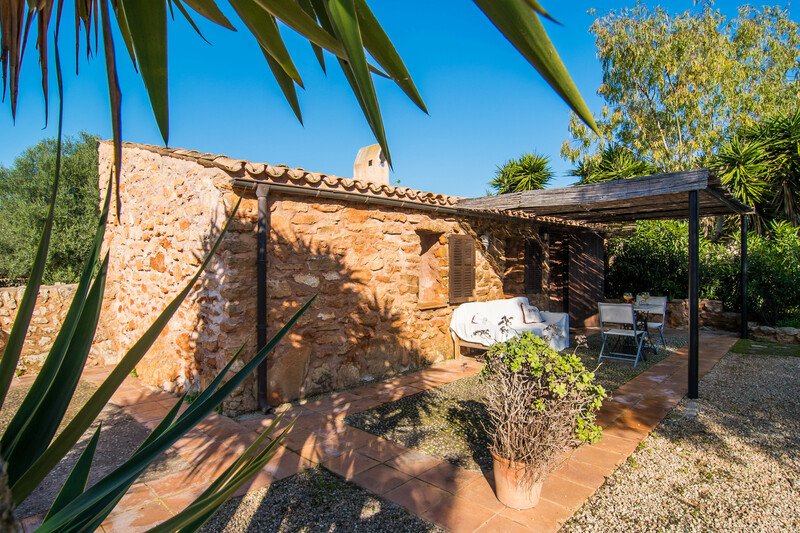 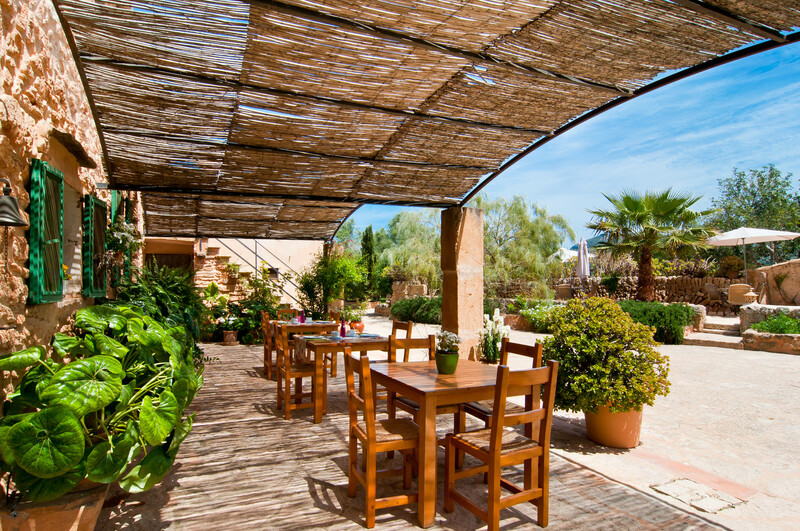 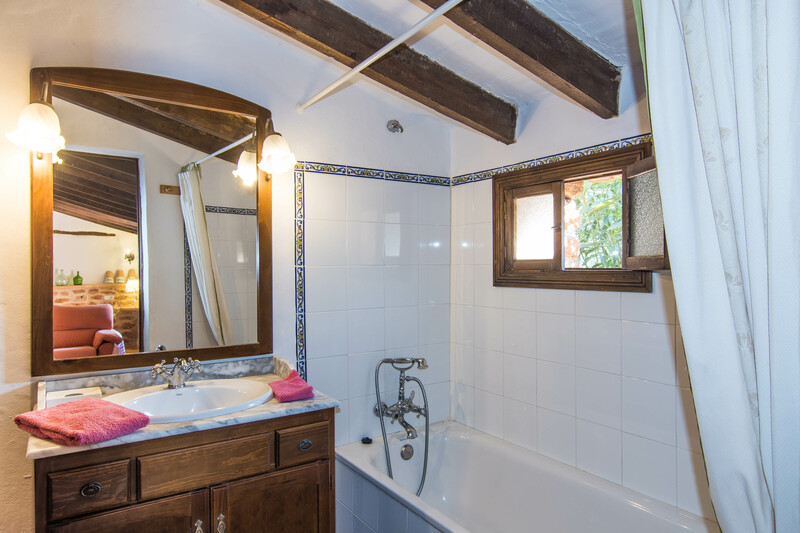 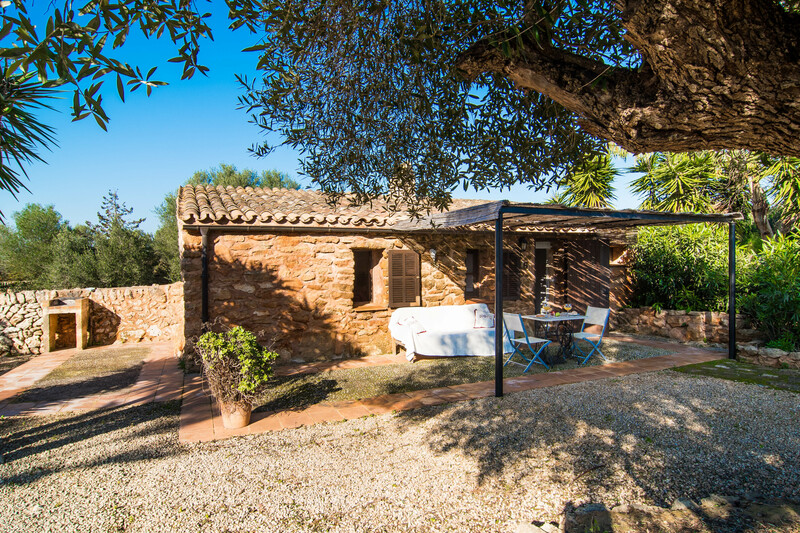 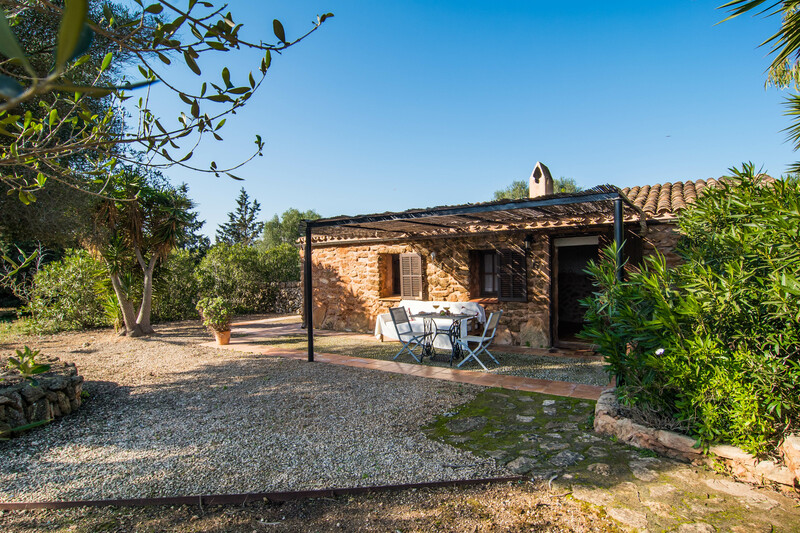 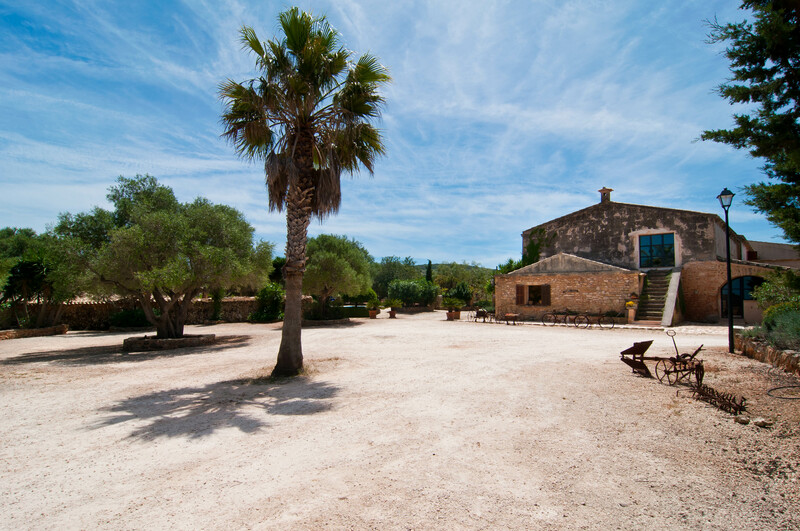 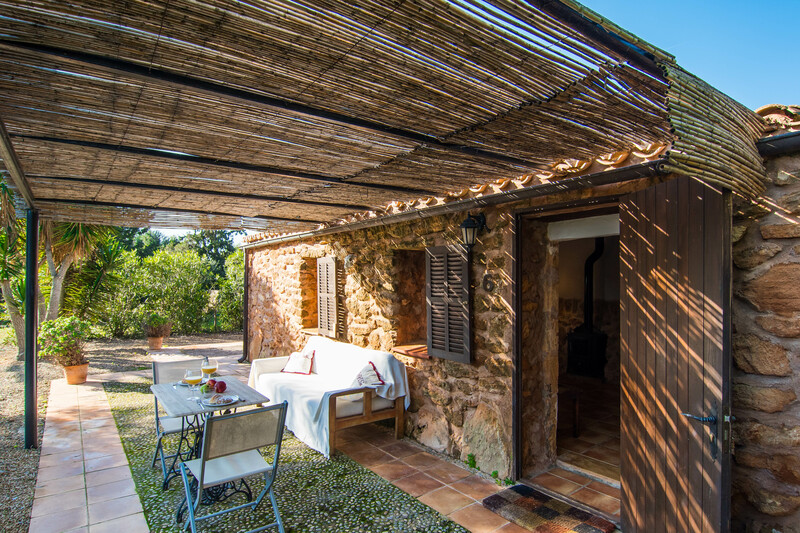 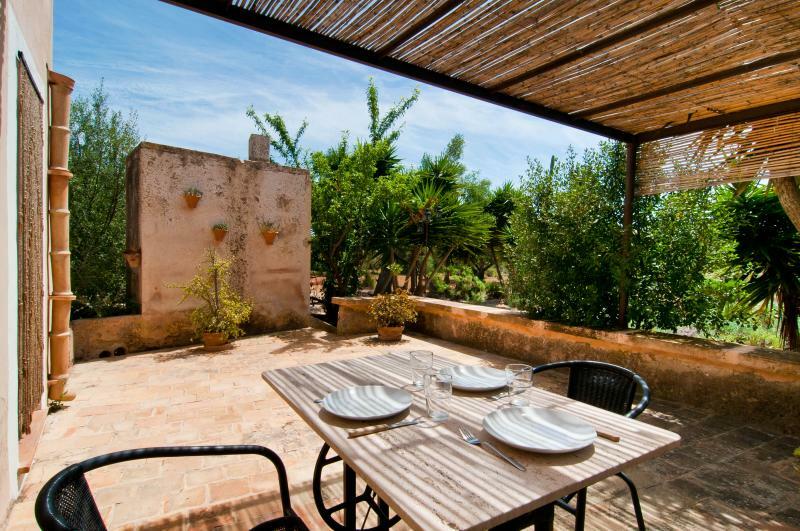 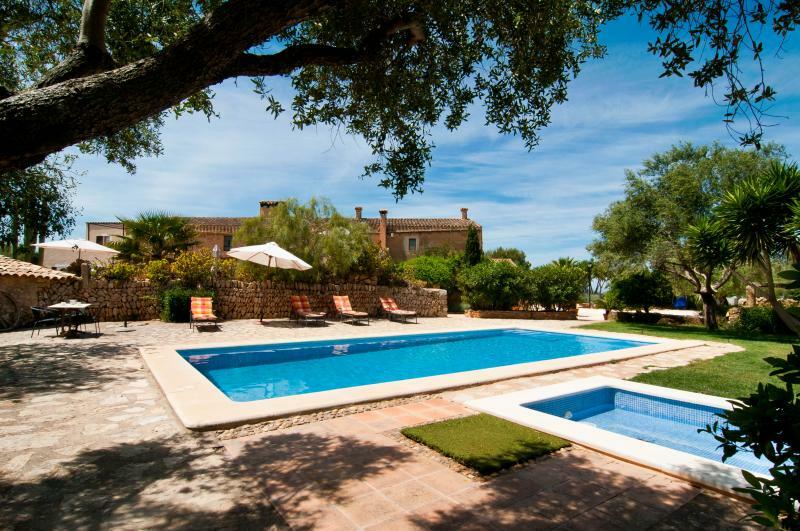 Romantic, rustic-styled apartment for two people in an agrotourism with shared pool near Manacor. 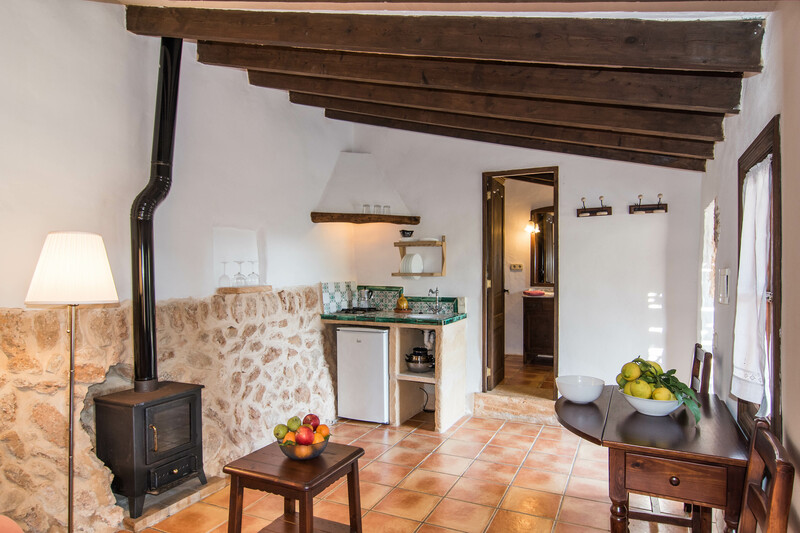 The estate has several accommodations for two or four people and Rafal Galiner is a 47m2 sized apartment for two people. 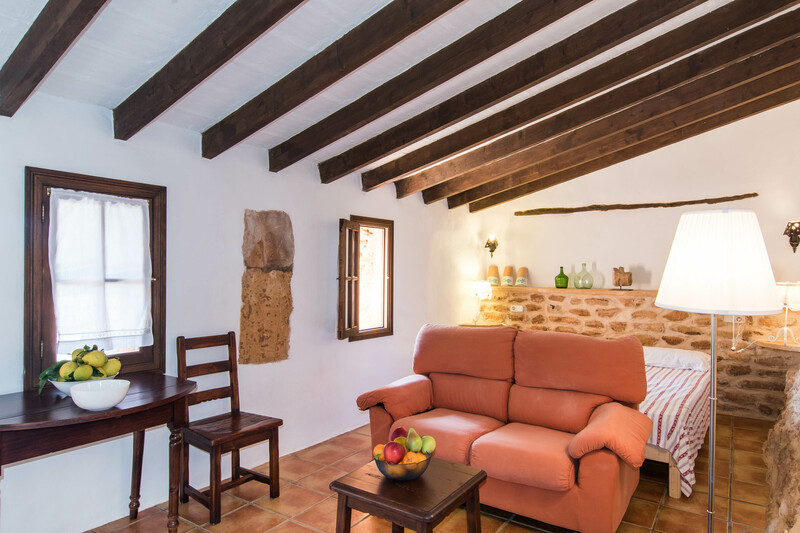 It is decorated in a rustic and cozy way, ideal for a romantic getaway. 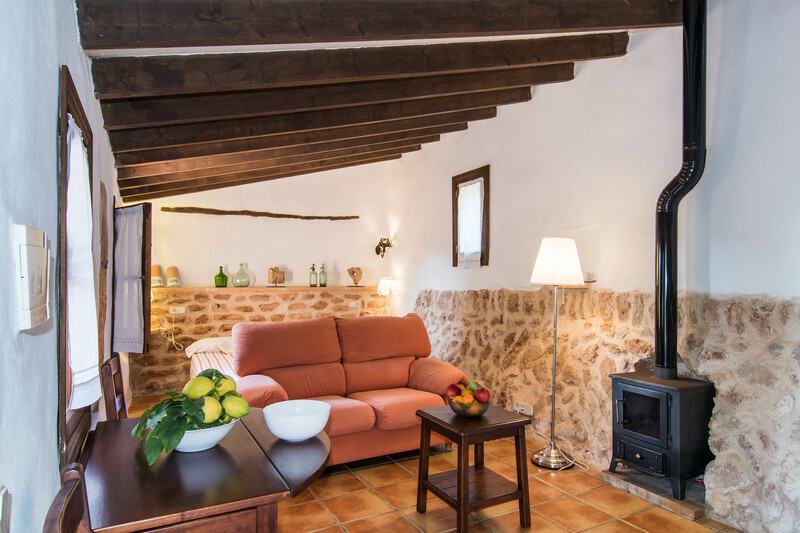 The sitting-dining room with small kitchen is just perfect for a lazy afternoon watching films (SAT-TV) or having a cup of tea next to the fireplace. 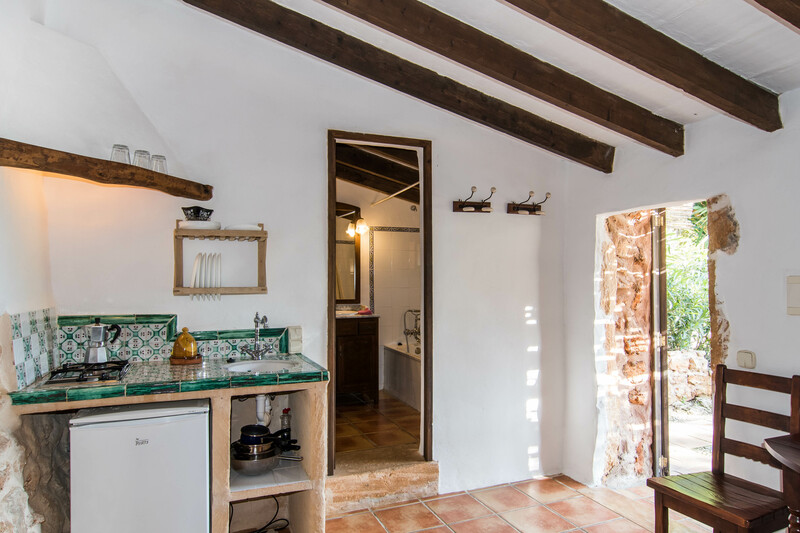 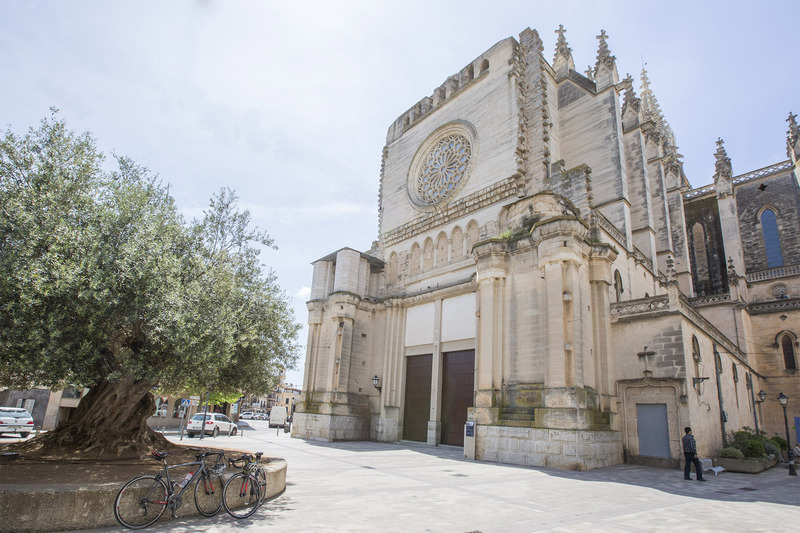 The kitchen has a gas stove, a refrigerator and a few basic utensils to prepare some snacks. 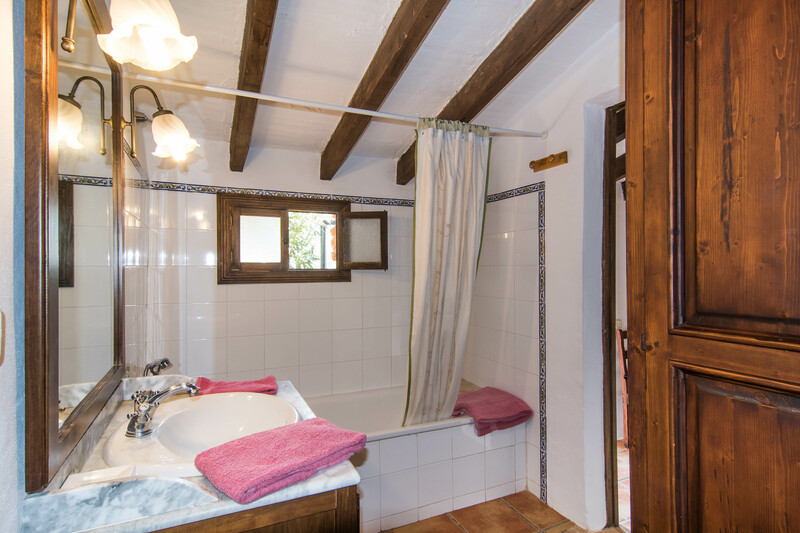 A twin bedroom with closet and a bath with bathtub complete the equipment. 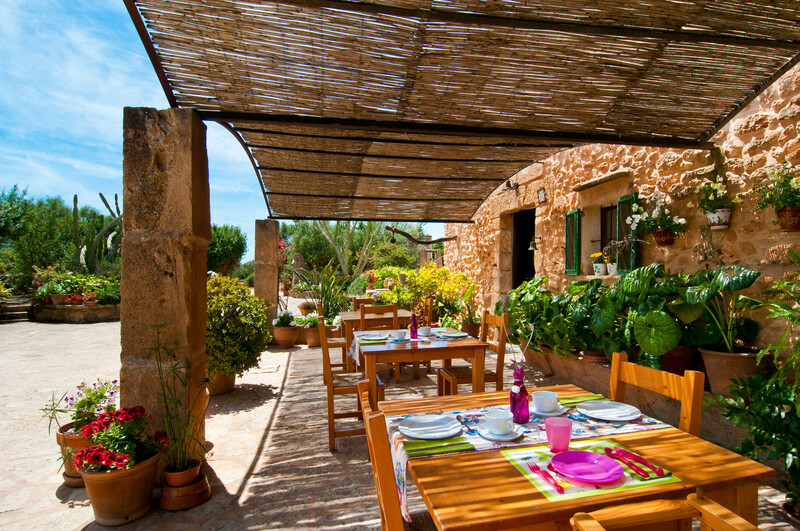 There's a cot and a high chair on request.